I am stuck in a long dreary winter up here in Newfoundland--- northeast coast of Canada-- and your pics are a welcomed respite. They help me get through as I wait for our riding season to start. Thanks for sharing. BTW, some great rides up here too, if you are ever in the neighbourhood...pretty rugged country. Awesome. It sounds like a perfect day. Great weather, great company, twisty roads. For group riding, 4 is a wonderful size. FYI - I don't own a denim jacket either, lol. That Highway 94 has got some pretty straight bits to it but I think I prefer the fast turns! This month looks like it will be one of the prettiest. Here in the UK, it was up to the 20C yesterday, Sunday, with blue sky, sunshine and a lot of bikers appeared on the road, polished and shiny! Very cool ride and photos, Steve. 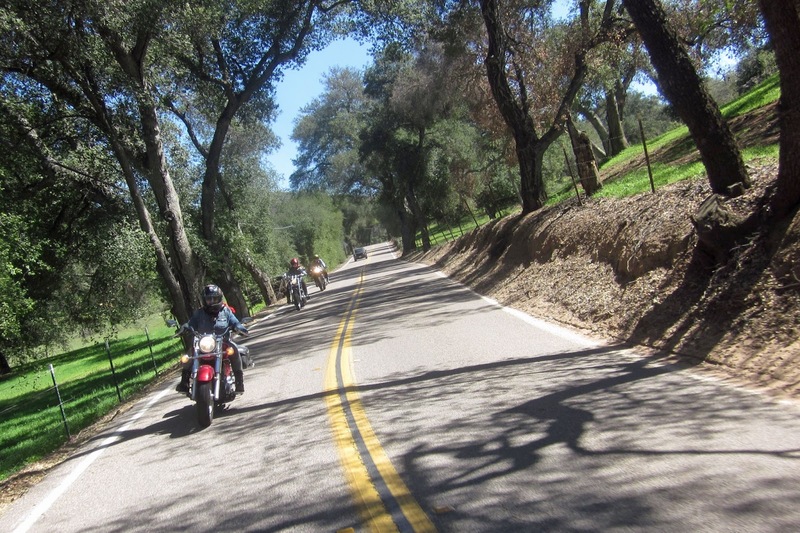 I always enjoy East County riding and your route is one I take when visitors to San Diego want to get out and see what kind of riding we have to offer. I'm a little jealous of the great rides you guys go on...the weather, the scenery, it's all pretty impressive. Can't wait to see where you guys go next!